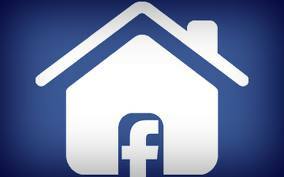 Do you create Facebook ads to promote your brand, your listings and your real estate services? With Facebook pages continuing to see a decrease in organic reach, Facebook ads are an easy way to target your market and get your content in front of the right audience. 1. Define your goal before creating your ad. What do want to achieve? Are you trying to get people to visit your real estate website? Like your Facebook page? Claim a special offer? Facebook ads can help you do all that and measure your results, you just have to first identify your objective. If your goal is to send people to your website, be sure your ad directs to the landing page that has the most value to your selected audience, so you have the best chance of keeping and converting your new visitor. No one likes a high bounce rate! 2. Create a Custom Audience to target your existing prospects. Do you have a list of prospect and client emails or phone numbers? Advertise to this already-warm group of leads by creating a custom audience. Just upload your contact list to create a campaign that will be seen by users who already know, like and trust you. Even if you don’t have an email list you want to target, you can use Custom Audiences to target people who have visited your website. This is called remarketing. It’s a little more complicated, but people who have visited your site will suddenly see your ads in their feed. How neat is that? 3. Highlight a single listing with quality photos. You can advertise a single listing to a local audience. Everyone likes to see what is for sale in their neighborhood, whether they are on the market or not. You should always upload two or more high quality photos to pair with your ad. Facebook will automatically create two ads, and you’ll be able to assess which image performs better. You can use this information to help you choose more engaging photos for Facebook ads going forward. 4. Include a question and call to action. Be sure to include a Call-to-Action Button under your ad that tells viewers which action you want them to take. Facebook has a predefined list that includes options like “Learn More” and “Sign Up.” Including a question in your ad copy is another good way to engage readers and get them to click your call to action. 5. Skip the ad – and boost your post! If you have a post that is performing well, even a fairly old one, and it aligns with your goals, try spending a little money to boost its reach. If that post was getting good engagement before, or seeing a high rate of click throughs, it can be just as cost effective as and more time efficient than creating a new ad. These tips should help you focus your advertising efforts on Facebook so you can reach your goals. You should continually monitor your ads to see how they are performing. When a campaign is finished, compare it to your previous campaigns to see what worked and what didn’t. Then you will be able to optimize your ads going forward. Point2 Agent is a comprehensive marketing toolkit used by real estate professionals all over the world to capture more traffic and generate more leads. For more information and to begin your free trial, visit Point2Agent.com.